Caitlin and Cisco's investigation in to the death of one of Caitlin's old professors has revealed an even greater mystery than a perpetual motion engine. It seems the particle accelerator explosion has transformed Caitlin's old mentor, turning her into half an energy being that can absorb the essences of others! 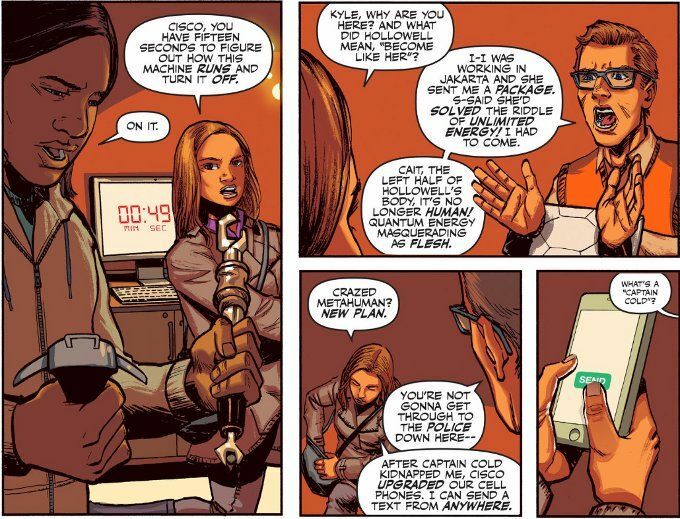 Thankfully, Caitlin knows just who to call when dealing with a rogue metahuman. But can even The Flash save the day this time? At first I was disappointed that The Flash showed up for the second half of this story. 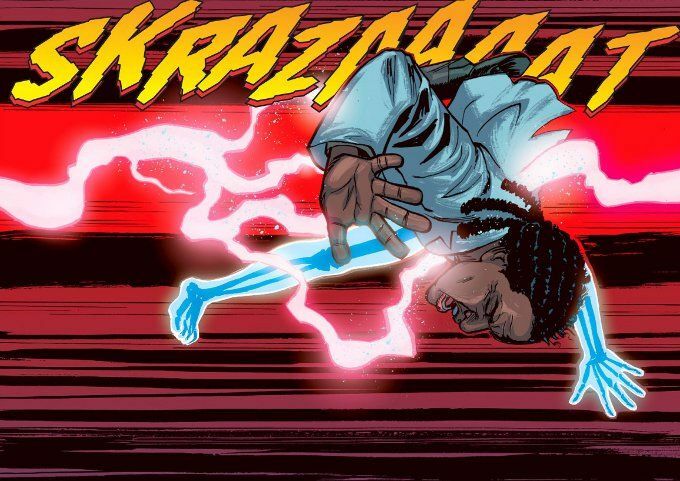 After Issue #23, I rather liked the novel idea of a story focused on Caitlin and Cisco as they went off an adventure without Barry. Thankfully, the battle turns out to be a true team effort and Barry's contributions do not overshadow those of his friends. Sadly, the artwork of Ibrahim Moustafa isn't quite so strong this week. Some of the character expressions look odd and seem incredibly forced. Thankfully, the action sequences are well-blocked and flow smoothly. And Nick Filardi's colors are as fine as ever.